I thought this was pretty amazing!! 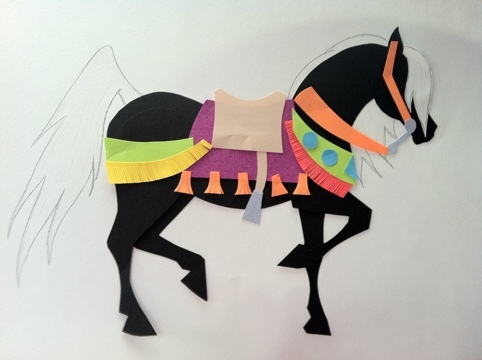 The mane and tail are drawn, but the rest is made out of construction paper. 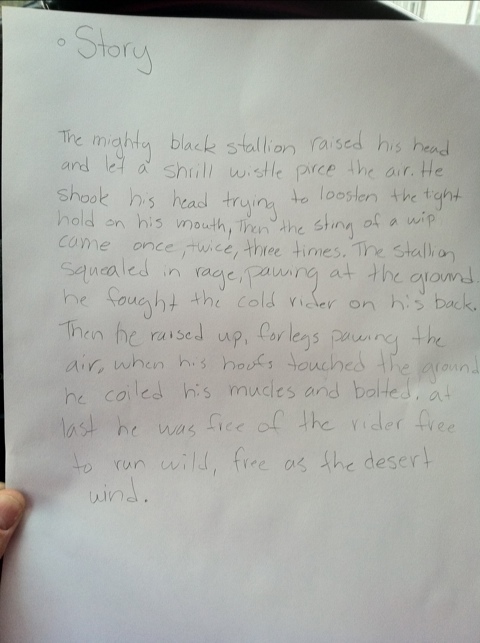 Then, she had to write a story to go with it. Her descriptive words are great! !